If you enjoy helping people and have a passion for science and medicine then becoming a medical assistant may be exactly the career you are looking for. Becoming a medical assistant means you will be in demand, challenged and stimulated in your work, but not to the point where your job takes a toll on your personal life. Additionally, there is a range of exciting specializations that offer wonderful opportunities for career growth. If you are interested in what does a medical assistant do and how can you become one, we’ve put together a short but comprehensive guide to why medical assistant is such an exciting career and why it might suit you. Instead of spending years training to be a doctor or nurse, you can enter the workforce almost immediately after graduating high school, transitioning straight into an enriching and exciting career. Between an undergraduate degree, medical school, and residency, it takes some doctors nearly fifteen years to obtain their medical license. Some medical assistant courses, on the other hand, can be completed in less than a year. Northwest’s schedule allows you to attend medical assisting training, care for family and have a balanced life in Las Vegas while still graduating in as little as 9 months. In many states there are no formal requirements to work as a medical assistant, but most employers prefer certified medical assistants. Completing a certificate or associate degree program is often the best way to set yourself apart from other applicants and get hired. Administering medicines, helping patients navigate their complex insurance policies and being supportive of those in physical and mental distress is a huge responsibility. A well-trained and expert medical assistant can make a big difference to a patient’s overall healthcare experience. It is this contribution to another person’s well-being that most professional medical assistants find to be the most rewarding part of the jobs and it is often the reason why they joined the medical field in the first place. Unlike entry-level professionals in other fields, you won’t have to start your career by accruing tens of thousands of dollars in student debt from the high tuition costs for medical degrees. It is much more affordable to get certified as a medical assistant than it is to train as a doctor or nurse. Along with the flexibility of the job itself, once of the best part of qualifiying as a medical assistant is being able to choose your specializations as your career progresses. You don’t have to choose a specialization right away, but as you get more of a feel for the job and can see a little more clearly where you want to progress, you can choose to specialize in a area that excites you. According data from the American Association of Medical Assistants (AAMA), 63% of medical assistants work in primary care and nearly half work in a single-specialty practice where their specific skills and abilities are highly valued. High Numbers of Job Vacancies! The number of vacancies for trained medical assistants is increasing rapidly. According to the US Bureau of Labor Statistics demand will grow by 23% between 2014 and 2024. This is faster than the national average for all other occupations over the same period, which averages 7%. Nearly 140,000 new medical assistants will be needed to fill up the new positions expected to appear by 2024. In 2016, a medical assistant made $31,540 per year on average, as calculated by the US Bureau of Labor Statistics. Salaries vary between states, but medical assistants in Nevada can expect to earn above the average at $32,047 per annum. 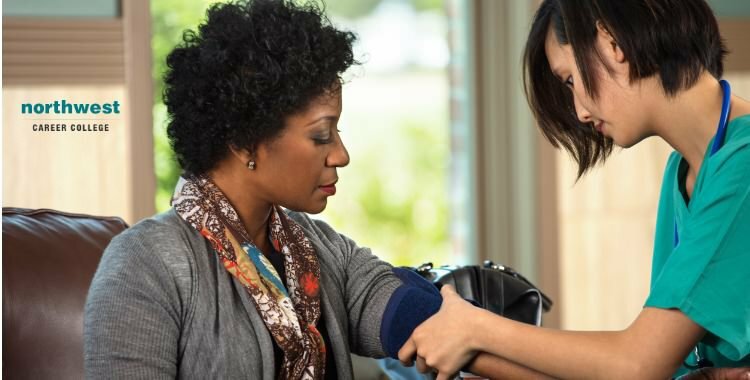 A 2016 survey conducted by the American Association of Medical Assistants reported that most professional medical assistants in the field receive medical insurance through their employers. 8,200 professionals responded and more than 75% declared they had received major medical coverage, while 69% of respondents received vision coverage. Dental coverage was also commonly provided, with 78% of medical assistant professionals saying they had been offered it through their employer. Healthcare workers are notorious for working night shifts or long hours with some interns getting shifts as long as 36 hours! Long punishing shifts is a way of life for doctors, nurses and emergency services staff. The good news is that it is still possible to have a career as a medical assistant while still working within the framework of a more conventional working routine. If you would prefer to work on a more regular schedule, or your commitments won’t allow for you to pull multiple all-nighters, don’t worry, you can still work as a medical assistant. You may have to reconsider employment at a hectic and fast-paced hospital, but there is always the option to focus on working at a smaller clinic or doctor’s office that operates on more regular office hours.